I'm happy to say our wedding plans are coming right along! We are waiting for the priest to return from vacation and once we get the go ahead we can confirm to our reception hall! Our fingers are crossed for September 14th! Which works out nicely for us cause we didn't get any of this figured out till this week! Next on the agenda is to book a date with my wonderful wedding planner Summer of Water Lily Events who also happens to be a good friend of mine and figure out the next step in planning the big day! After six years I figured my chestnut Uggs deserved a break. As I wear them day in & day out from Autumn till mid Spring. And they survived the "Snowpoclypse of 2011" so it was time for a new pair. And for once Mr. Gregory didn't give me crap about it or the usual "Another pair of shoes?!" My Uggs have proven them self over and over again! 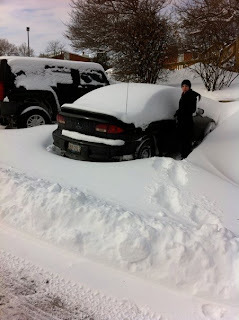 My old car and the mountains of snow! When I bought my chestnut uggs back in 2006 and spend $180 or something along those lines at Victoria's Secret. When I finally went to make the purchase I was going to return to Victoria's but discovered they were now $210 in the catalog and $195 online and that's before tax & shipping! OUCH! So I decided to hit the internet and search for a good deal on my new pair. 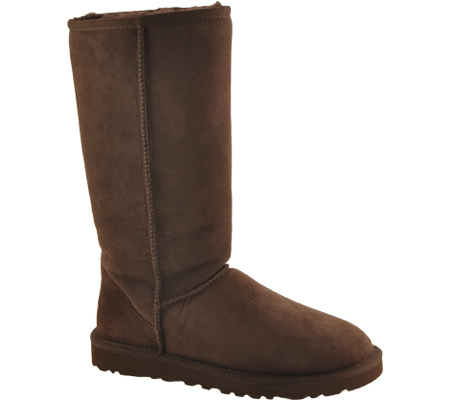 I stumbled upon Cozy Boots an authorized reseller for Ugg offering free shipping & no sales tax! Meaning I only had to pay $195 to get them shipped to my house and they take PayPal! I can handle that! I chose to go with the chocolate brown pair. I was going to order the grey ones but couldn't resist the chocolate! Now I have to pretend to be patient and wait for them to be shipped and at my door so I can start rocking these bad boys!